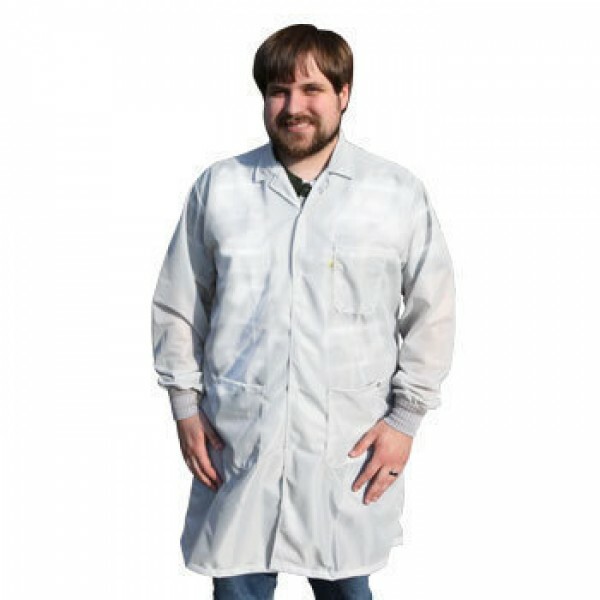 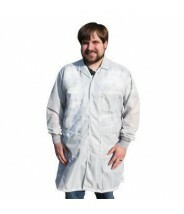 The Tech Wear LOC-13C-XL is a traditional ESD coat with a lapel-style collar and grid-knit cuffs for a professional look. 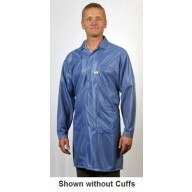 NOTE: This garment is made of ESD-Safe materials. 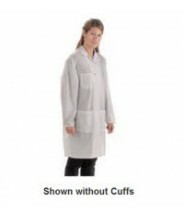 The static dissipative properties do not come from any kind of spray-on application.The ESD-Safe grid-knit cuffs form a contact patch around both of the wearer's wrists. The garment and wearer are then both grounded by attaching a ground cord to the 4mm stainless steel snaps on either hip pocket.